Everyone knows that sometimes it can get pretty cramped in a tight vehicle and in a tightly-spaced RV, as well. What if we had the solution to a small floorplan, but with a big space? At Moore’s, we have RVs to help fix the problem you’ve been trying to solve for years. Our RV bunkhouses for sale give you and your family the space you need to breathe. Whether you’re looking for travel trailer RVs for sale, fifth wheels, or motorhomes, we have an RV with a bunkhouse for you. 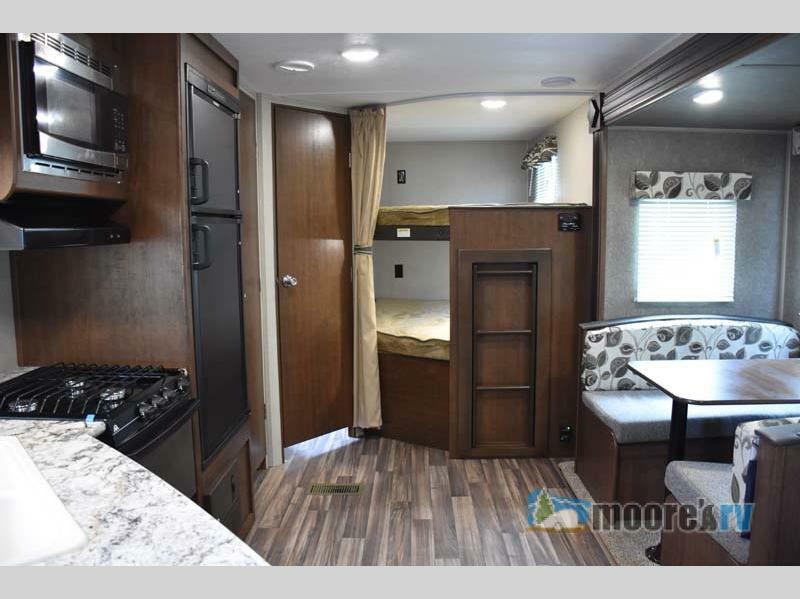 This 2017 Keystone RV Hideout 272LHS bunkhouse RV is spacious, perfect for siblings! Our RV bunkhouses for sale will give you that extra space you need without taking up too much of the floor space! We have several different bunkhouse floorplans you can choose from, giving you the option to find the one you truly want. With great selections like Aspen Trail, Hideout, and Passport, you can’t go wrong! These fantastic options will give you that beautiful space you’re looking for. 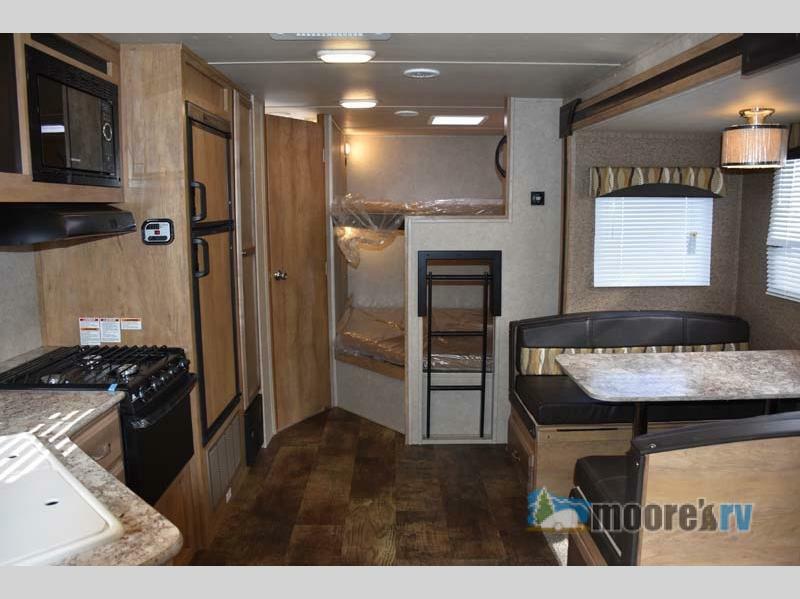 Each RV we carry that provides a bunkhouse will save families and friends a lot of trouble when everyone wants to settle down for the night and each person has their own space. There’s nothing like being able to comfortably fall asleep, and a relaxing vacation rarely works unless you’re actually comfortable. Families will enjoy the extra space, and you’ll be glad you bought a bunkhouse option when everyone is settled in on a chilly night. Here at Moore’s we have many options of RVs with bunkhouses, and if you have any questions about them, please contact us. We pride ourselves in customer service, and want to help you out in any way we can possible. The best way to make memories while vacationing is to be able to relax! Don’t miss out on a spacious RV for the whole family.